Basalt Rockfaced Tiles supplied by J.H. Wagner & Sons for Queensland X-Ray building in Russell Street, Toowoomba. Tiles size: 400mm x 200mm x 20mm thick. 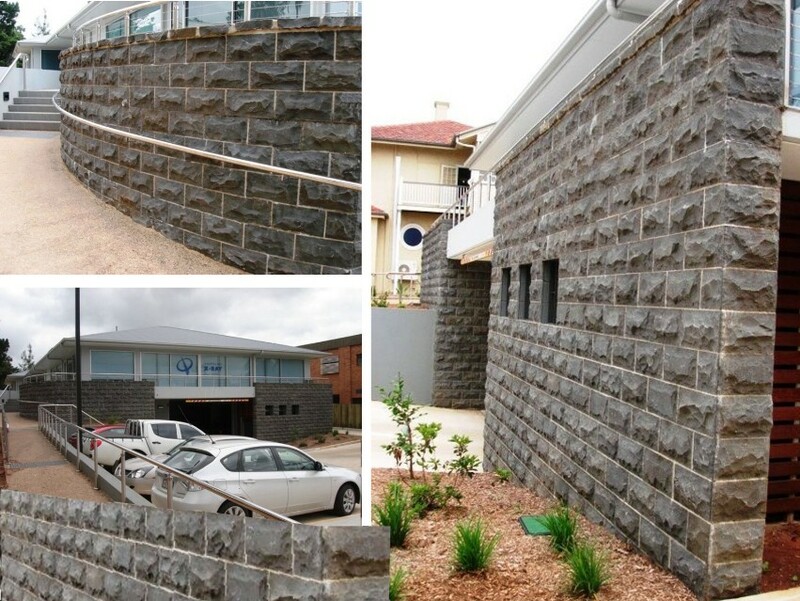 Basalt rockface tiles provide an attractive stone clad veneer for either internal or external facades.